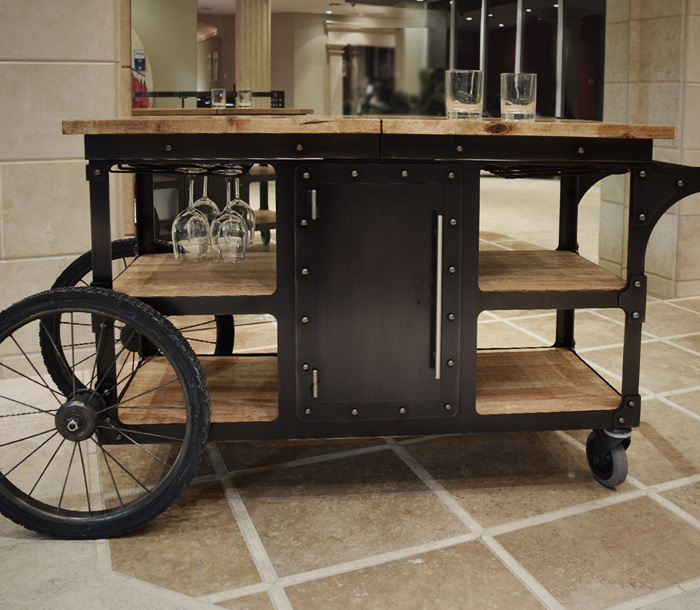 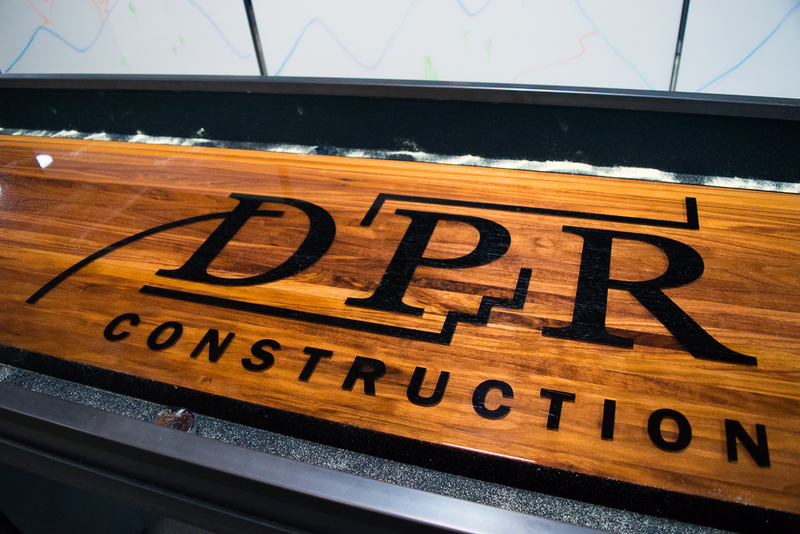 This is another fun piece built for our friends at DPR Construction. 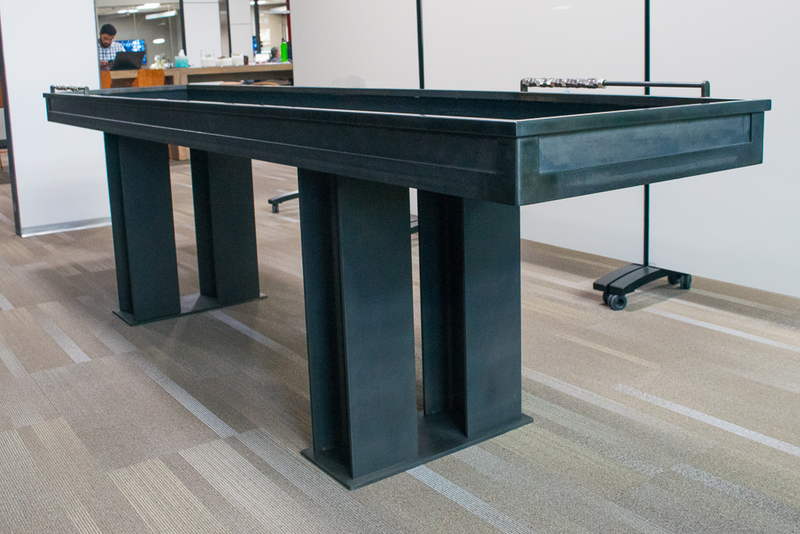 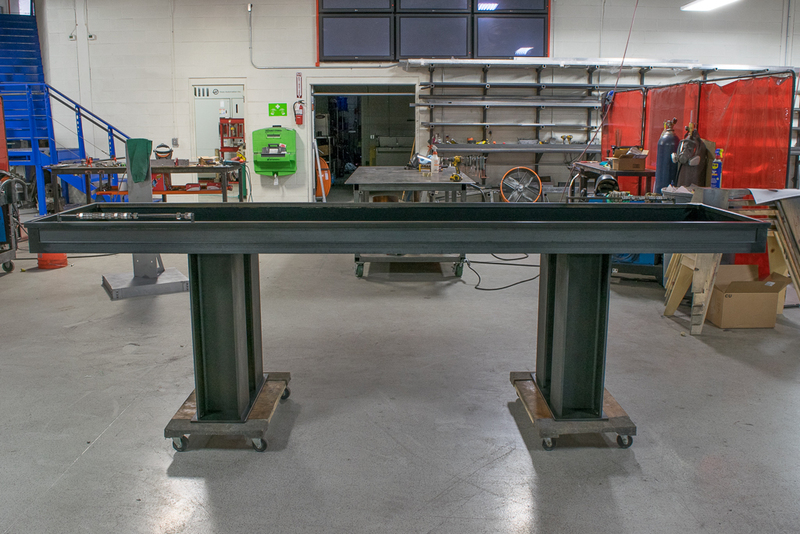 The heavy, raw metal base is supported by 4 I-beam legs styled to match their River Table. 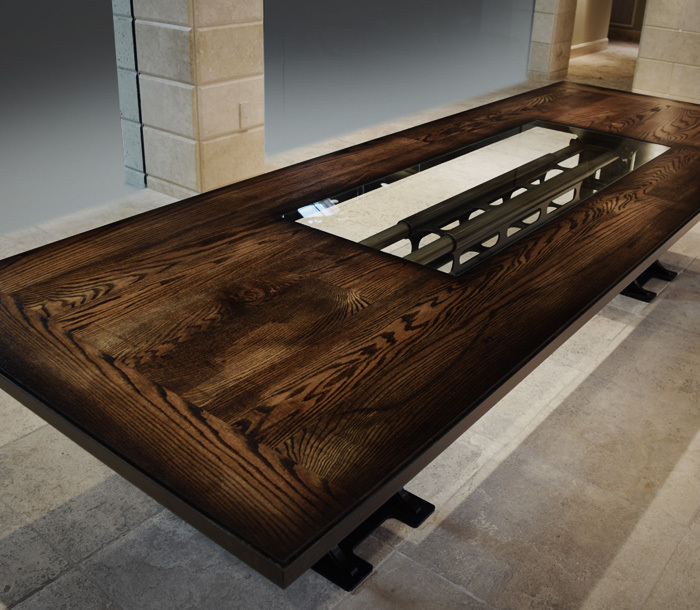 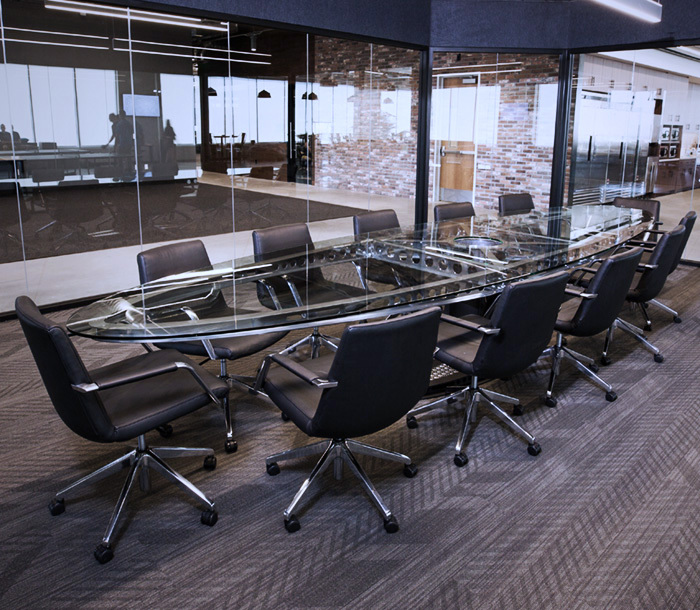 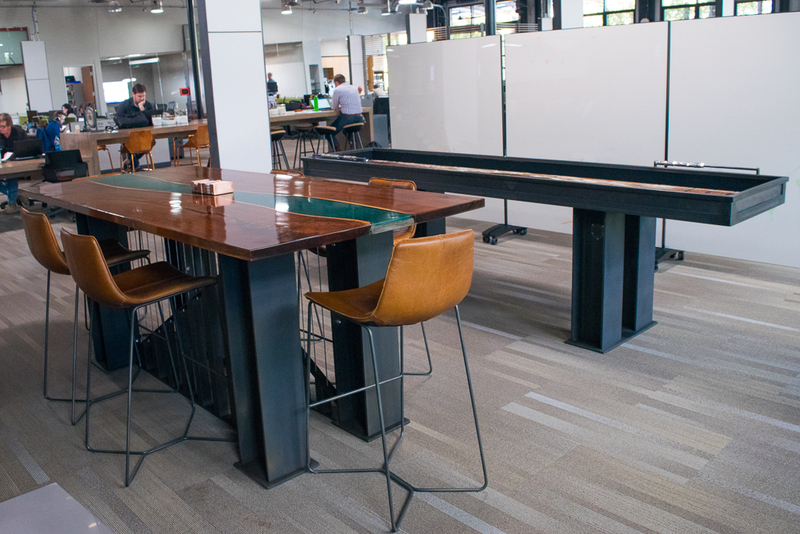 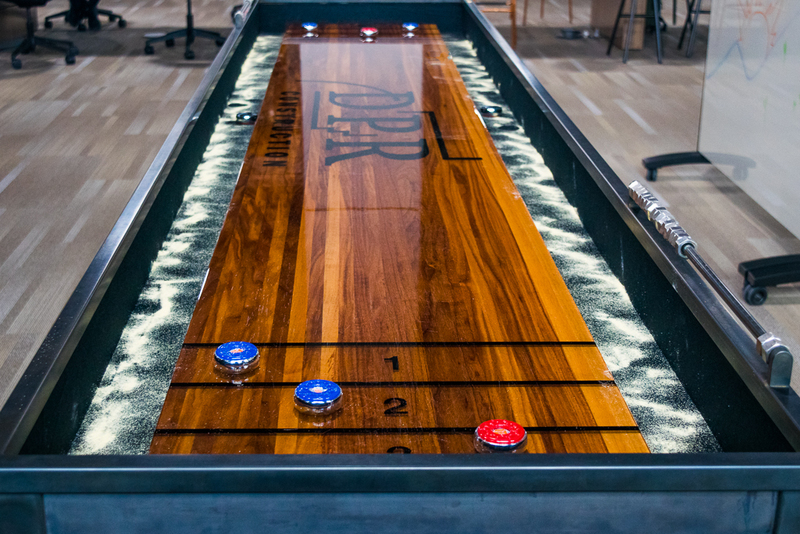 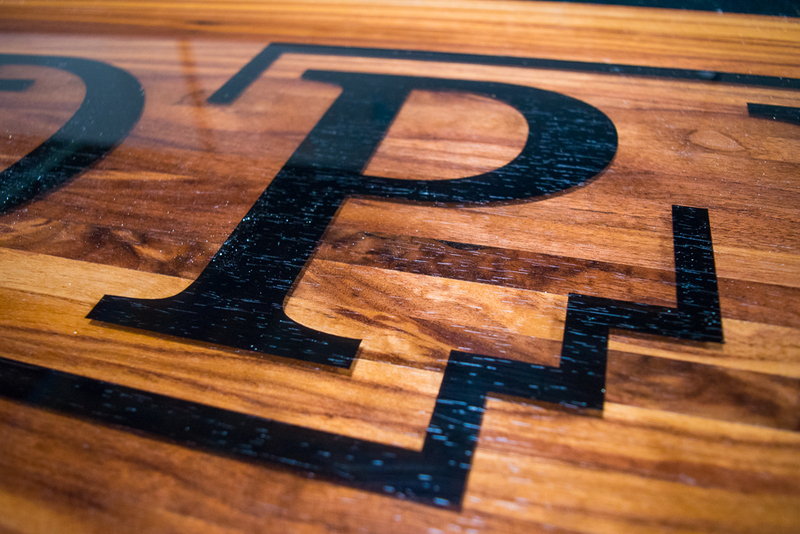 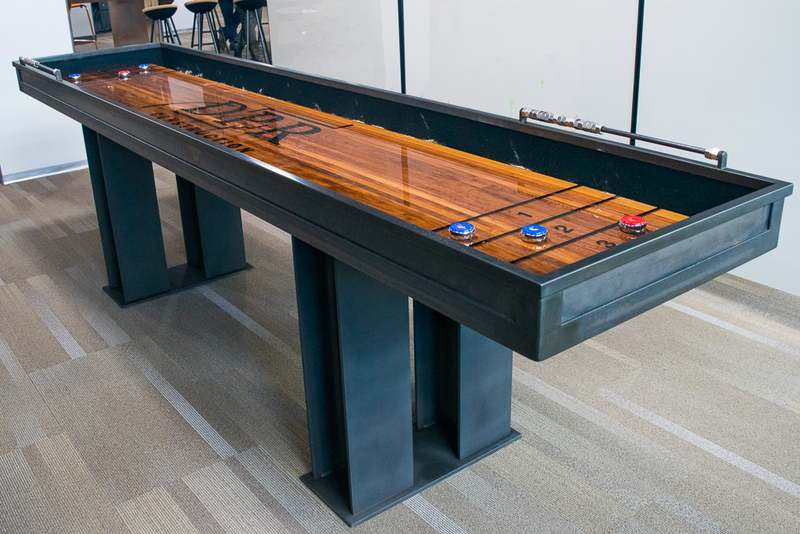 The custom 10’ walnut top is emblazoned with DPR’s corporate logo that seems to be floating above the wood. 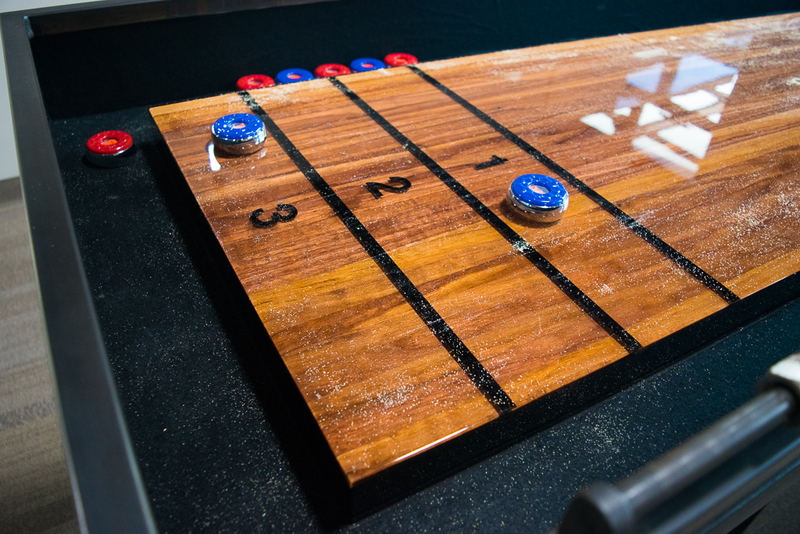 It’s almost too beautiful to put shuffleboard powder on it! 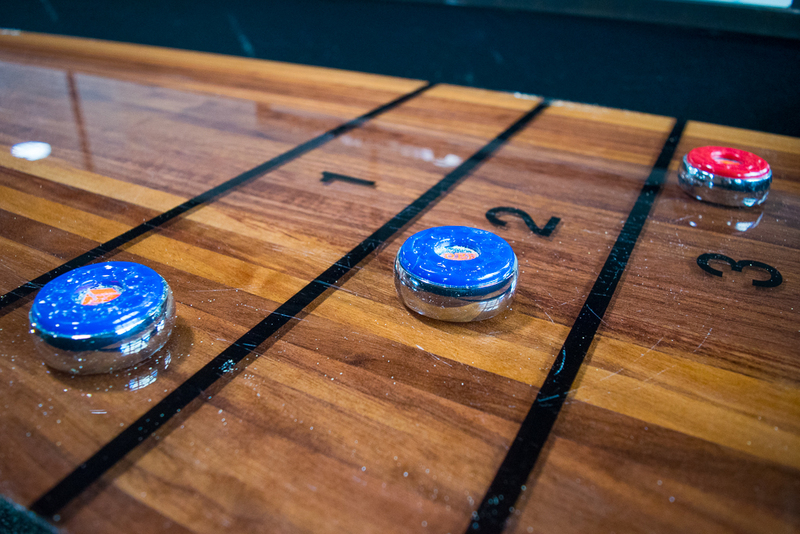 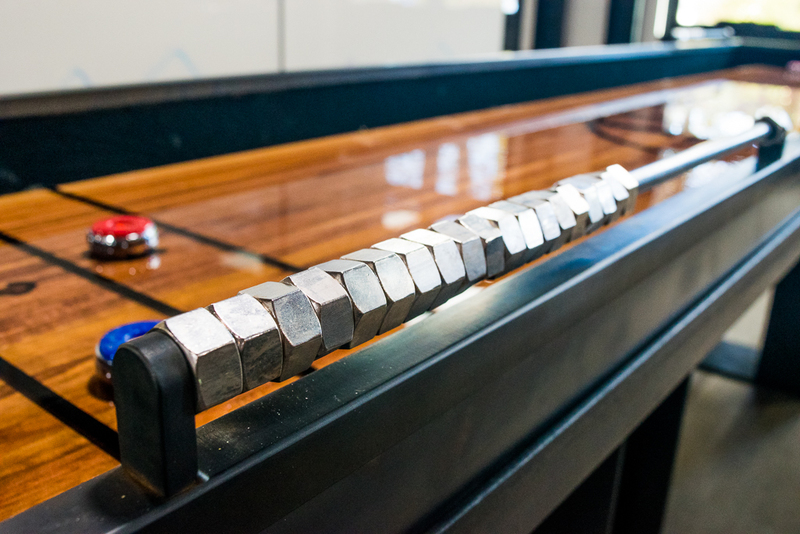 As a finishing touch, we kept to the construction theme by using heavy stainless-steel nuts for score keeping.